On Wednesday I attended Toronto’s first edition of Stone Soup organized by my good friends Stuart Candy and Ceda Verbakel. 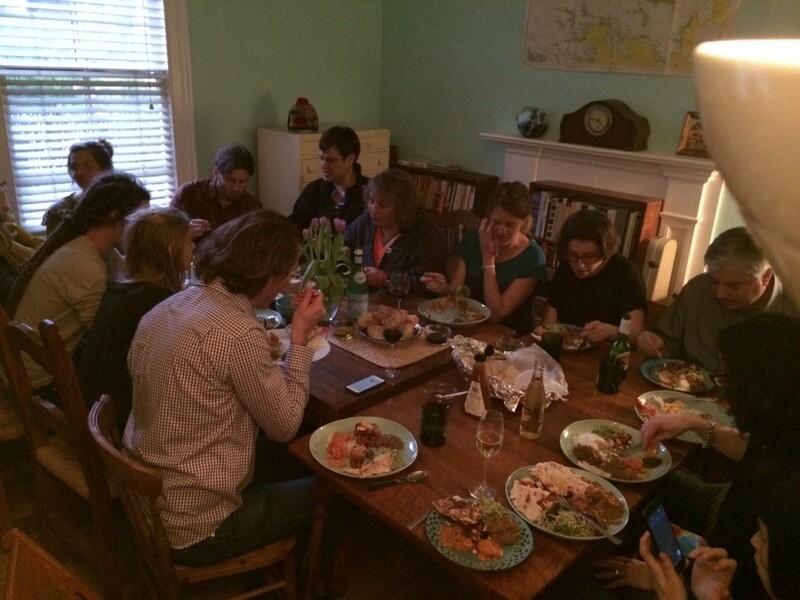 It was a combination dinner party and storytelling. When the invitation landed in my inbox mentioning sharing a story, food in the form of a potluck and the company of 15 hand picked friends and strangers I rsvped with a hell yes! 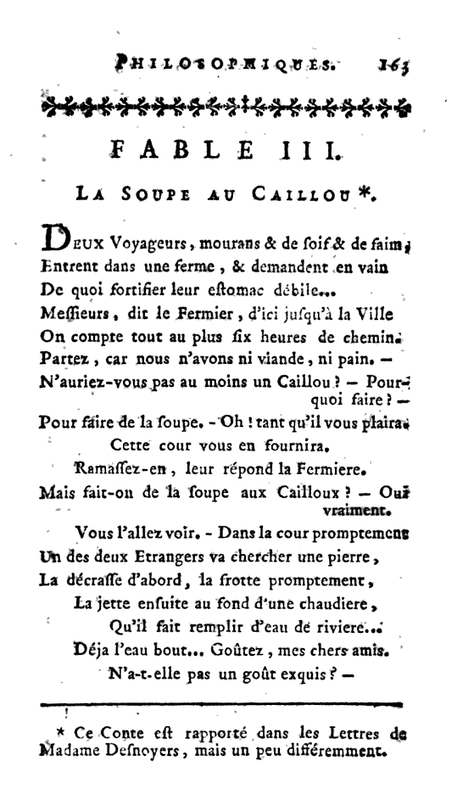 For those unfamiliar with the Stone Soup story, the story goes like this: a traveler arrives in a village with nothing more than an empty cooking pot. Upon her arrival, she asks for assistance from the villagers for dinner and shelter for the night. The villagers are unwilling to part with any food or provide assistance as times are hard. The traveler having a cooking pot goes to a stream and fills it with water and puts it above a fire. She then drops a large stone in the cooking pot. A first villager walks by and asks her what she is doing to which she responds “making stone soup” which tastes wonderful however it needs a bit of additional flavouring which she is missing. The villager does not mind parting with a few carrots to help out. So that gets added to the soup. Another villager walks by, inquiring about the pot as well, and the traveler mentions that the stone soup in the making still needs more garnishes to reach its full potential. This villager hands her a bit of seasoning to add to the soup. And slowly as villagers walk by and inquire as to what’s cooking and each part with a little something that can be added to the soup, the village ends up with a stone soup that is delicious and feeds everyone. 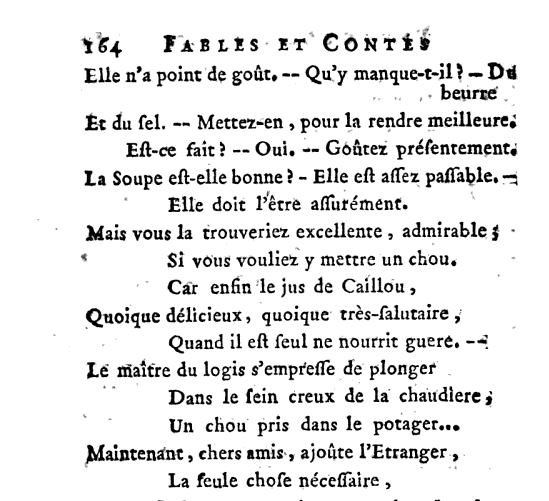 The Stone Soup version I am familiar with is la soupe au caillou by Father Phillipe Barbe (1771). I always loved the original ending. Growing up I was a big fan of fables. Bonjour Jean de La Fontaine! Anyone remember La cigale et la fourmi? 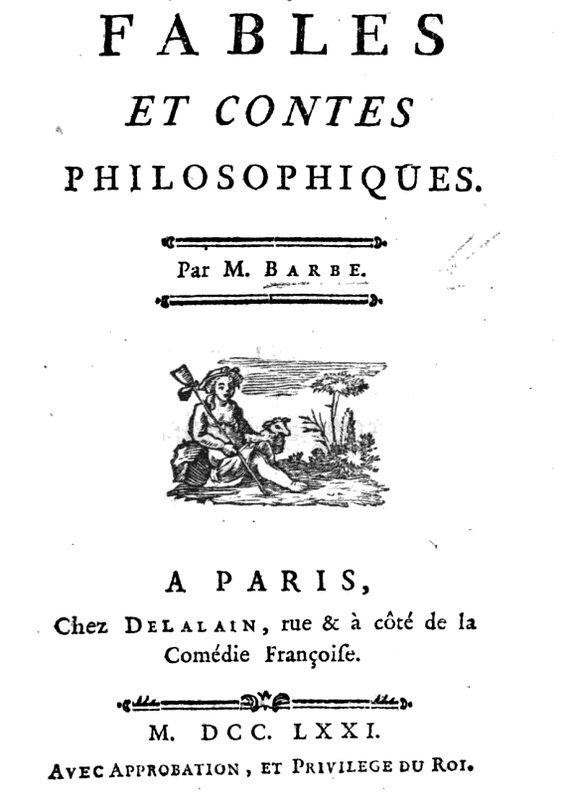 The entire collection of Barbe contes et fables philosophiques is accessible online and it is a wonderful read (albeit you will need to speak French!). I am sure there are many many variations of the Stone Soup story and a version to suit pretty much any country or culture. It is such an adaptable story with a beautiful ending. 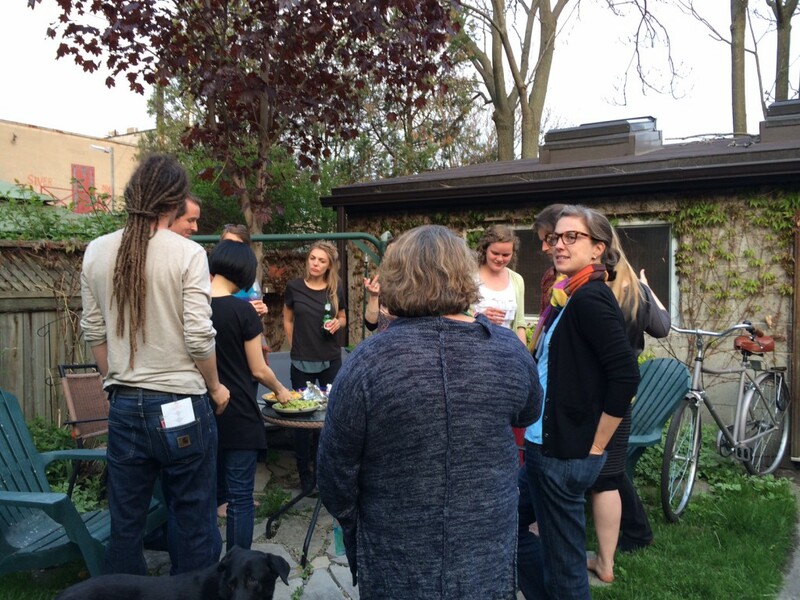 Last night’s first edition of Stone Soup in Toronto was in theory a pretty simple event: get a few people together for dinner, ask everyone to bring a dish since dinner was potluck style and pick a theme for the evening. Yesterday’s theme was “first”. The evening started in the garden with drinks and nibbles. It was a wonderful evening under the Toronto spring skies. 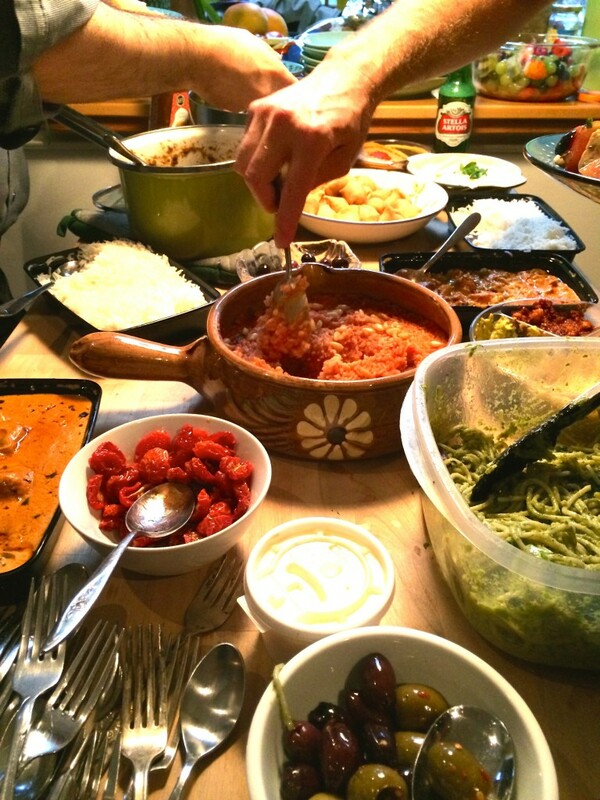 The potluck spread was impressive! We started the dinner portion of the evening and by the time I sat down at the table you could hardly hear yourself think: everyone was engrossed in conversations – pretty much like any dinner party you would be invited to! Stuart called everyone’s attention to the beginning of the story sharing part of the evening. Sharing a story required one to stand at the head of the table . Standing at the head of the table was a bit un-nerving for some participants but it was a good idea as it changed the dynamics of the room: suddenly you became the story teller and everyone around you the audience. It was interesting to hear the participants stories throughout the evening and see the room get transformed by the story teller one story at a time. The most amazing thing for me to watch and notice was how everyone paid attention to the story teller. The audience’s attention was focused on the storyteller and the story. Very similar to a stage performance – much more informal of course – with a dynamic of engagement with the audience: people nodding, approving, laughing but ultimately completely focused on the story teller. 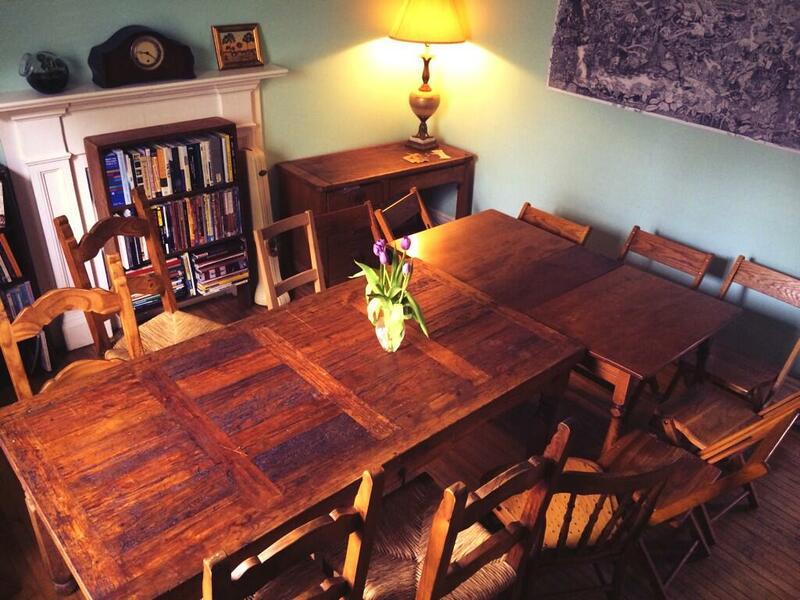 (volunteer) storytellers were asked to stand at the head of the table to tell their story. This changed the dynamics of the group and the relationship with everyone. Suddenly you were speaking and everyone was paying attention. The additional “rule” was that anyone can tell a story but no one has to. the invited participants were a mixture of friends and strangers. This was a group that was easy to get along with. Some of the people knew each other and facilitated introductions and inclusion in conversations. There was no ice to break! There was a theme: “first” which could really be interpreted any way one wished, but it guided the story lines of all participants. The theme was provided in advance (in the invitation email) which gives everyone the possibility to prepare a story. I think the theme does a bit more than guide the evening’s stories: it also gives everyone a chance to reflect in advance of the evening and perhaps arrive at the event prepared to be immersed in the theme. There was great food prepared by everyone and ready to share. The first speakers were selected by Stuart. They had volunteered to tell a story ahead of the evening and I believe they did set the tone for the evening. Correction: Stuart simply asked people as they arrived if they had a story to tell, for the ones who did, he asked them if they would be ok with going 1st, 2nd, 3rd etc. A lot more fluid than a direct selection! The evening’s storytellers came alive while telling their stories and the room shared their excitement. I am looking forward to the next installment as it was a bit of a magical evening where the currency exchanged was attention: undivided attention paid to the story teller. I think I have made new friends. 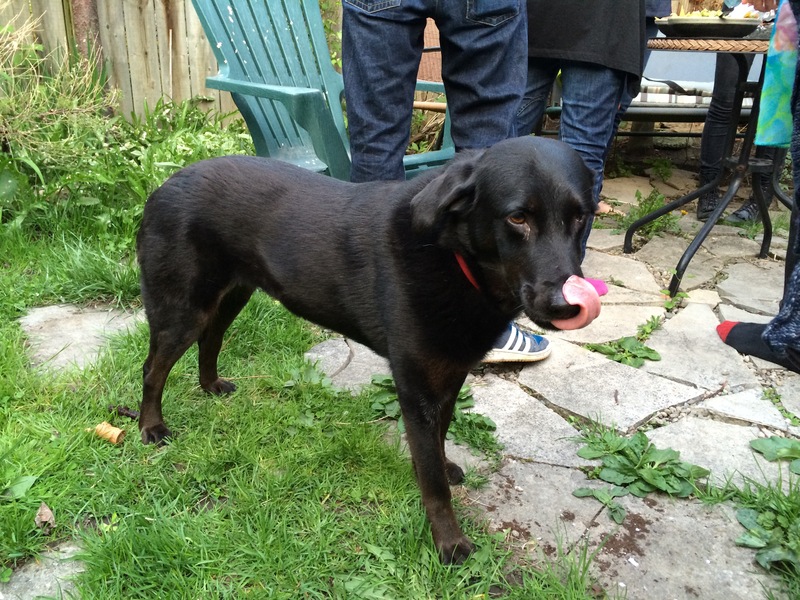 Congrats Ceda and Stuart for bringing Stone Soup to Toronto.